Traveloscopy Travelblog: Shakespeare's Globe Theatre, a London literary time warp. 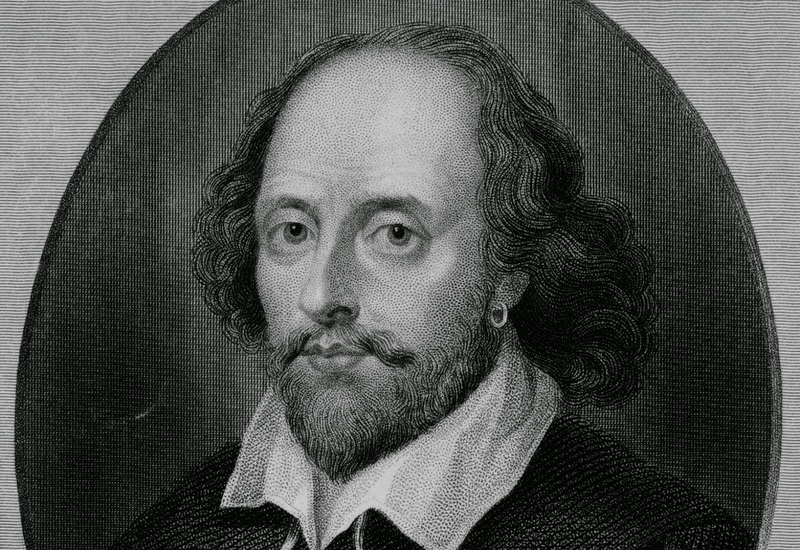 Shakespeare's Globe Theatre, a London literary time warp. Shakespeare's Globe Theatre, a London literary time warp. 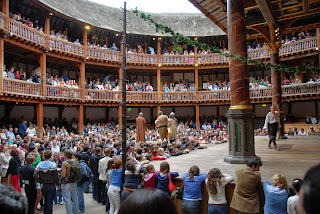 YOU'D think that London's replica of Shakespeare's original Globe Theatre, to which tens of thousands flock annually, would be the result of patriotic fervour absolutely British to its boot-straps. But you'd be wrong. When the idea was put to them, the Brits appeared little interested in the concept of a "new Globe," possibly because it was not with a Pom at the helm, but rather with an American – actor and film director Sam Wanamaker who put over 20 years of his life into the project. Wanamaker spent months precisely locating the site of the original Globe, and when he discovered an abandoned brewery and brothels over it, joyfully offered to buy the eye-sore from the local council, clear it and create a replica Globe Theatre that would revitalise that part of the Thames between Southwark and Blackfriars bridges. The council, alas, shared none of his enthusiasm: for while it'd ear-marked brewery and brothels for demolition, it planned to replace them with a lovely new garbage transfer depot – a more-obvious attraction Thames-side, and so near to the very heart of London, than a copy-cat of Shakespeare's theatre of 400 years past. But it had not reckoned on the fact it was dealing with Sam Wanamaker, who had been visiting England for 15 years since going there in 1949 to star in the film Give Us This Day. When making another movie in 1951 he decided to call London home, although he frequently returned to America to act in and direct some 50-plus movies and TV shows there. With a healthy disposable income and an insatiable passion for Shakespeare's works, Wanamaker set about finding the site of the original Globe, and drawing-up in his mind's eye just how a replica would look on the site of the old. 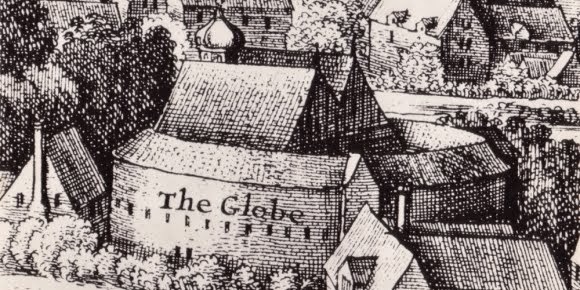 That first Globe, built in 1599, burned down when a spark from a stage cannon set fire to the thatch roof. When a new Globe opened over its remains, the-then Puritan Parliament closed and demolished it in 1644. Even the foundations were buried to remove any memory "of the ribald behaviour of such a dreadful place," as one MP described the Globe in Parliament House, "one frequented by all manner of vagrants and lewd persons…with the noise of drums and trumpets greatly disturbing Divine Services." 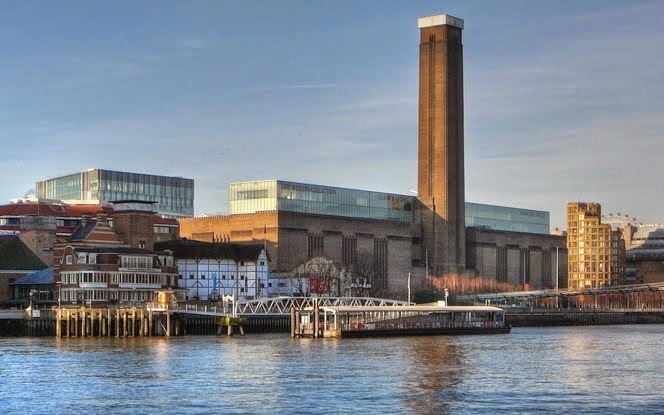 When he found the derelict Bankside Brewery on the site of the original Globe in the 1960s, Sam Wanamaker had excavations done that discovered some of the theatre's remains under an adjacent house. But that house was Heritage Listed, and through sheer bloody-minded persistence he finally persuaded the council to drop its garbage depot plans, and for the site to become home to his "New Globe" theatre – albeit 220m off the actual site of the original. With no plans of the original and only haphazard historic sketches, Wanamaker and the architect Theo Crosby came up with what they considered the original looked like, even using quotes from Shakespeare himself, such as from Henry V: "Or may we cram within this wooden 'O'…." Today we know that the old Globe was not a true circular building, but a 20-sided one of 31m diameter (100ft.) And when he wanted to put a thatch roof over part of his replica, just as the original had had, Wanamaker again ran foul of the council: since the Great Fire of London in 1666, thatch-roofed buildings had been banned in the city – but again Wanamaker triumphed…although at the cost of millions of dollars for a sprinkler system. 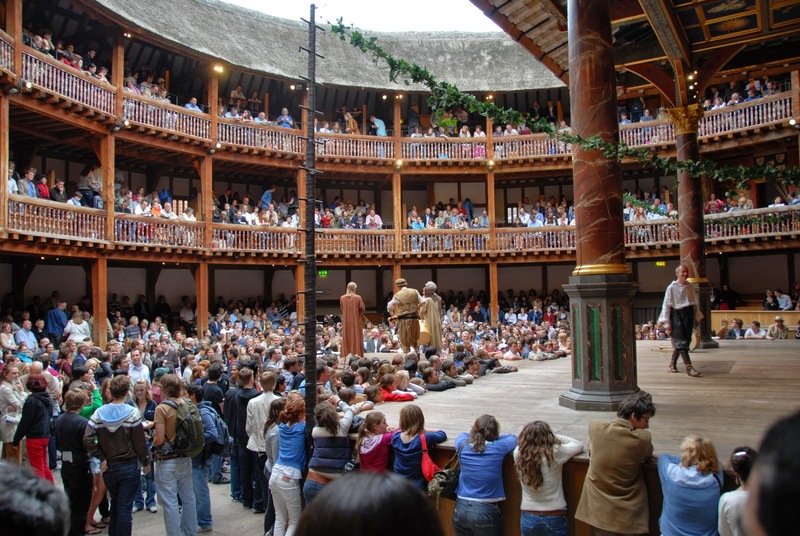 Originally 3000 patrons would cram into the old Globe, and those who could afford it would be seated under the thatch roof; the remainder (dubbed "groundlings") paid a penny each to stand in open weather in front of the stage. Today's 3-storey replica Globe has seating and standing for just 1,700, and like the original has not a single bolt in it, the whole held together by mortise and dowel. And as in the original, flags fly above it to indicate the kind of play being currently staged: red for history, white for comedy and black for tragedy. Sadly Sam Wanamaker was never to see his dream New Globe theatre finished: he died of cancer four years before the Queen officially opened it in 1997.